B190 Enthusiasts • Need help buying a very ODD B190!!!! Need help buying a very ODD B190!!!! Hello there fellow B190ers. I am in the process of trying very hard to get my first. Now i need some help from anyone who knows these rigs. I have found one for sale, it is a 1991 according to the title, the chassis acording to the vin is 1990. Here is the kicker, its TAN, and not labled anywere as an airstream, however it is without a doubt a B190. 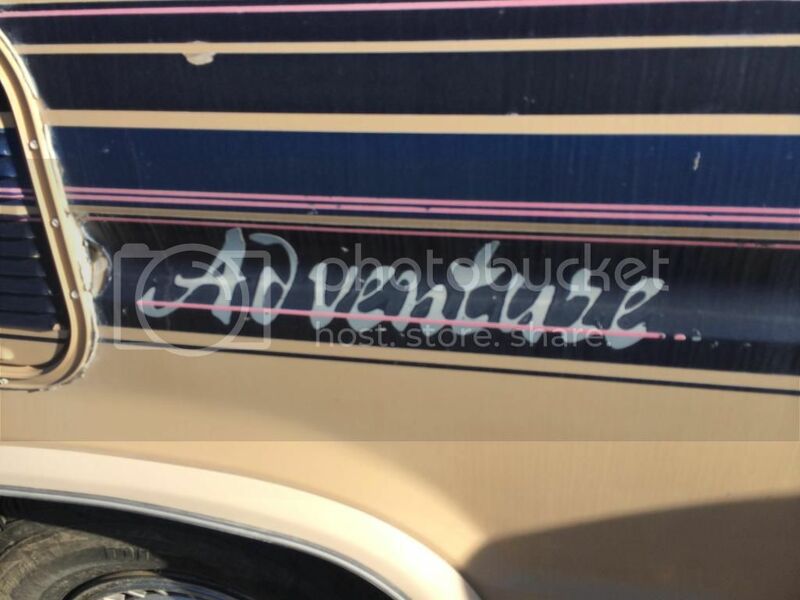 It is maked only as "Adventure" on the side and front decals. Did Airstream do any subletting to other companys of their conversions? A big question from you Airstream owners, what is it branded as concerning the title? Does it say "Airstream"? This particular rig on the title is only listed as a Ford E350 Motorhome. 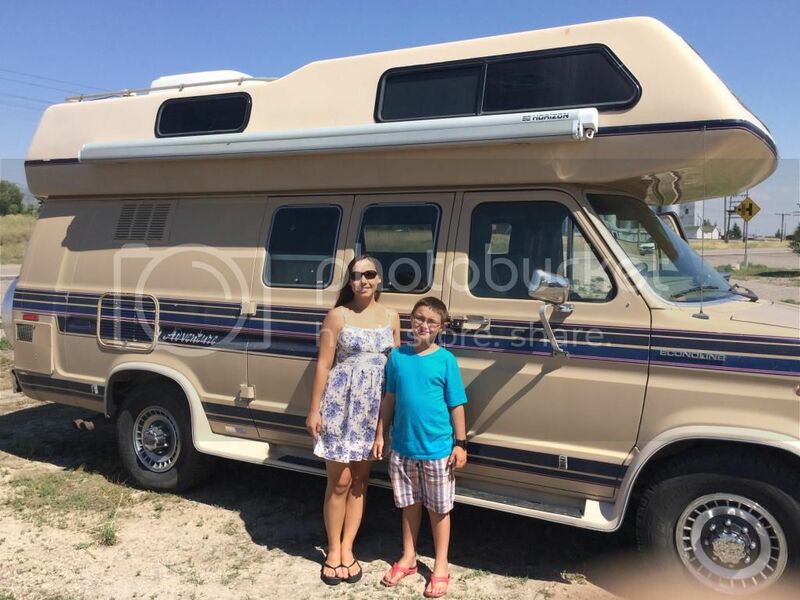 Biggest reason for all of the questions is that I need to go to my credit union armed with enough information to get a loan for the rig, Obviously this rig is worth more than a standard 1991 E350. The price on this thing is amazing, 77K miles and in perfect condition minus the generator pack is missing. I want to act fast. Re: Need help buying a very ODD B190!!!! It will only be listed as Ford and the Body type should read MH or Motorhome. As for getting a loan not sure how they go about lending on that old of a vehicle. Do you have any other pics of the rig, the decal does not reveal anything, it could be a company call Okanagan. I will get a few of the whole van tomorrow. it is for sure the exact same as any B190 from the same year barring the color and decals, interior layout and everything is identical. Airstream mounted their own VIN on them under the hood (at least that's where it was on mine). See if you can find that, then call Airstream with it (they'll call you back - it's not while-you-wait). Mine started with 1B9. Airstream VINs follow a different pattern than normal vehicle VINs. Note other companies did make very similar vans. Most notably is O'Kanagan, who sold the design to Airstream, but there were others. I spotted one marked "Fiesta" once that looked identical to the Airstream B190 on the outside. well it looks like the credit union really didnt care after all of this time and research I have put in, so hopefully I will have some more pics today or tomorrow. Leaving in about an hour to make the drive to pick it up! Congratulations on aquiring that memory builder! Nice Rig, there is one that is very similar in my neighborhood. First thing to do is to check the date on those tires. No matter how much tread they have, ...if they are over 8 years old, replace with a name brand 10 ply tire. Safety first! Thanks! Tires are brand new this spring, so good for a while on those. First thing to do is going to be getting all of these ugly stripes off of the side and get the paint buffed out. Anyone need some side skirts? Sent by magic, I mean come on really, pictures through thin air, MAGIC!!! I'd say its an Okanagan...... one of the last ones built in 1990/91 during the turn-over to Airstream. they vin tag says its made by "Thor" "an Airstream Company" I will get some pics soon. Either way we are stoked, been looking for something like this for years.